Welcome to Varsity Community Association! Led by a volunteer Board of Directors and a professional staff of approximately 30, the association offers programs, activities and civic engagement for its residents and members.Varsity Community Association (VCA) is a non-profit organization registered under the Societies Act of Alberta and a charity registered with Canada Revenue Agency. 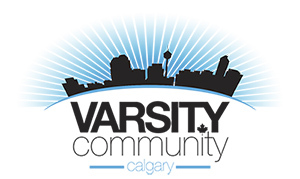 Varsity Community Association is located at 4303 Varsity Drive NW where programs and events are held every week in addition to banquets, town hall meetings, church gatherings and one of Calgary’s largest out of school childcare programs. On the grounds one can find a 3/4 NHL size ice rink, a pleasure rink, basketball nets, 4 tennis courts and a large community garden. For a complete listing of programs and activities, please visit the programs page and the home page. VCA also has an active Civic Affairs Committee of residents whose mandate is to liaise with the City of Calgary and developers on traffic and development issues to ensure Varsity residents can enjoy a safe and welcoming neighbourhood. Affiliated organizations are the Better Business Bureau of Southern Alberta, the Federation of Calgary Communities, Sport Calgary, SOCAN and the City of Calgary. The community of Varsity is bordered by Crowchild Trail on the east and north, Sarcee Trail on the west and 32nd Avenue NW on the south. It is home to four shopping centres including Market Mall, is 15 minutes to downtown, 18 minutes to the Calgary International Airport, five schools and borders on the University of Calgary, McMahon Stadium and the Bow River. Varsity Community Association (VCA) is committed to safeguarding the personal information entrusted to us by our members, clients, volunteers and staff. We manage your personal information in accordance with Alberta’s Personal Information Protection Act and other applicable laws. This policy outlines the principles and practices we follow in protecting your personal information. The policy also applies to any person providing services on our behalf.